Registration now closed. See you in Brisbane! Evolution sees the gradual development of organizations, practice, and systems from simple to more complex forms. Revolution represents a dramatic and wide-ranging shift to an entirely new paradigm. The introduction of environmental impact assessment was, in its day, a revolutionary means to ensure consideration of environmental factors in decision-making. Some 50 years later, environmental impact assessment (IA) has evolved to be a substantive broad-based plank in project and policy decision making. IA has shown both flexibility and resilience, its processes being adapted and applied in a wide range of contexts and settings across the world. It has diversified its focus to strategic environmental assessment, sustainability assessment, economic impact assessment, social impact assessment, health impact assessment, and cumulative impact assessment. The utility of IA is under question on many fronts. IA is not without its critics. It has been attacked by project and policy proponents for impeding development, and by environmental and community interests for failing to meaningfully influence decision making and protect environmental and social values. Both groups criticize it for being costly, overly procedural and political, and question the value it adds to development and environmental outcomes. IA is generally mandated by statute law. But laws that fail to serve the interests of good governance of communities can become moribund and fail to be administered. IA will change as governments, proponents and communities rationalise competing views about values. Are IA regulations adequate in terms of scope and content, and can they be effective in the future? Is the mandated science-based analytical approach of IA at odds with the broader purposes sought by communities, such as promoting sustainable development, educating and empowering stakeholders, and challenging the normative values of growth? What role can practitioners play in this debate and the ultimate reform of IA processes? The conference theme is deliberately provocative, inviting delegates to consider IA from different viewpoints. It calls for reflection on the imperatives for change if IA is to be part of another half-century of good practice environmental management. Will it be enough for IA to continue to evolve? Is there a better way to ensure that impact assessable matters are taken into account in project and policy decision making? If revolutionary change is needed, what might it look like? How can IA meet the challenges of the 21st century? •	Inadequate responses to trans-boundary and global scale threats such as climate change? If revolution is the way forward, who will lead it, and to what end? What purposes are we seeking to achieve through IA? What is done well and can IA be further enhanced? What can we learn from the perceptions and practices of other disciplines? Does the focus of IA need to be narrowed or broadened? Are the different forms of IA evolving on convergent or divergent trajectories? Is IA based on theory or simply process? How can decision making, and political and dispute resolution theory inform the practice of IA? For 38 years IAIA has been holding annual conference events and training courses all over the world to promote best practices in impact assessment. IAIA pre-conference training courses are presented primarily by IAIA members and are open to all participants. 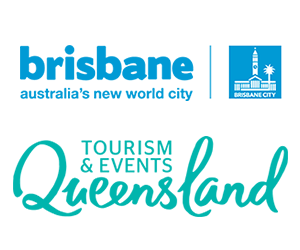 This conference enjoys the official support of Tourism and Events Queensland and Brisbane Marketing. Founded in 1987, the Environment Institute of Australia and New Zealand (EIANZ) is the peak self-governing professional association for environmental practitioners in Australia and New Zealand. Publishes a respected academic journal dealing with environmental management. Its membership is drawn from all areas of environmental practice, and includes practitioners with industry, government, community and academic careers. The koala is not a bear. This arboreal herbivorous marsupial (Phascolarctos cinereus) is widely identified with Australia, and is the official animal emblem of Queensland. Found in eucalypt woodland areas along Australia's east coast, the species is listed as 'Vulnerable' by the IUCN, and it is protected under national and state legislation. Across its range, its habitat is being lost through encroaching development, and individual animals are at risk of dog attacks, disease and motor vehicle strikes. 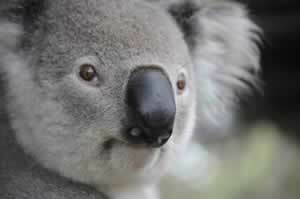 For indigenous Australians, the koala was a source of food and associated with traditional stories. It is also an endearing character in contemporary Australian children's stories and humor. The koala's conservation status, and the potential for development to destroy its habitat, make it a particular focus of impact assessments. It is a fitting choice as the logo for this conference. Australia is a country that inspires the imagination and evokes images of strange animals, beautiful beaches, outback landscapes, welcoming people, and a laid-back outdoor lifestyle. 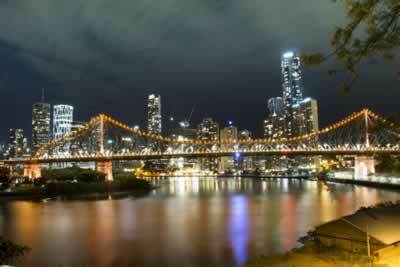 Brisbane, the river city and capital of Queensland, is a bustling international metropolis. In the heart of the city, clustered on the south bank of the river, is the conference venue and the Brisbane cultural precinct containing internationally renowned visual and performing arts venues, and the Queensland Museum and Science Centre. Journey on the ferry across and along the sinuous river to discover the business heart of the city, the University of Queensland, and the Queensland University of Technology with "The Cube,"one of the world's largest interactive digital learning spaces dedicated to engaging and inspiring the next generation of thinkers and doers. Follow the river to Moreton Bay, a Ramsar wetland and habitat for dugong, turtles, and migratory wader birds. The warm days and cool evenings of early autumn make dining out in Brisbane an especially enjoyable experience. Hire a bicycle and cycle the riverside boardwalks. Watch nightly as the "flying foxes" (fruit bats) wing their way among the city buildings to their feeding grounds. Like the river that embraces the city, Brisbane and its people will embrace you and make you welcome. There is no shortage of things to do in this friendly and accessible city. A city that is the jumping off place for five of Australia's World Heritage Areas and the famous "outback,"and only 80 km from the surf and beaches of the Gold Coast, host city for the 2018 Commonwealth Games. Make your participation in IAIA19 the opportunity to discover more about Australia, this large and diverse continental island.